Hi there! Today we go back to ‘Oumuamua, you know, this interstellar object discovered last Fall. 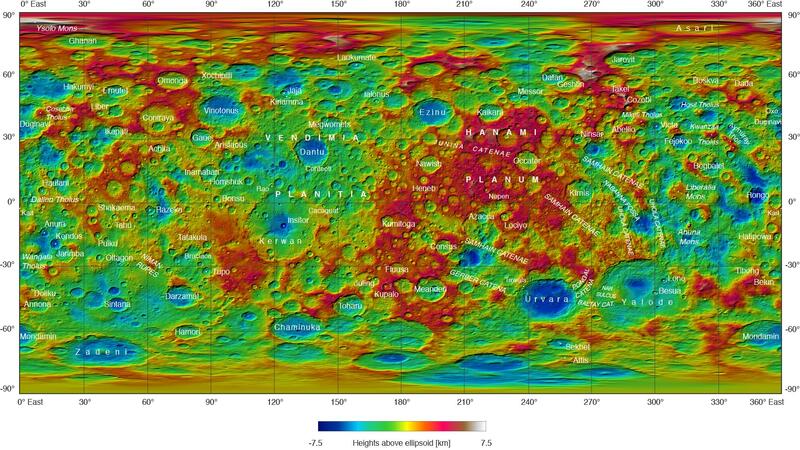 Its visit to our Solar system was the opportunity to observe it, and here we discuss on an analysis of the variations of its luminosity. I present you The excited spin state of 1I/2017 U1 ‘Oumuamua, by Michael J.S. Belton and collaborators. This study tells us that its rotation state might be complex, and that affects the way we figure out its shape. It has recently been published in The Astrophysical Journal Letters. A cigar or a pancake? I already told you about ‘Oumuamua. This is the first identified object, which has been found in our Solar System but which undoubtedly originates from another System. In other words, it was formed around another star. The Pan-STARRS survey identified ‘Oumuamua in October 2017, and the determination of its orbit proved it to be unusually eccentric. With an eccentricity close to 1.2, its orbit is a branch of a hyperbola rather than an ellipse. This means that it comes from very far, passes by while the Sun deviates it, and leaves us for ever. This is the highest eccentricity ever recorded in the Solar System so far. Other objects had an eccentricity larger than 1, but which could have been caused by the gravitational perturbation of a planet. Not for ‘Oumuamua. Its full name is actually 1I/2017 U1 (ʻOumuamua). 2017 because it was discovered in 2017, 1I as the first Interstellar object ever discovered (by the way, the International Astronomical Union has created this category for ‘Oumuamua), and the name ‘Oumuamua means scout in Hawaiian. 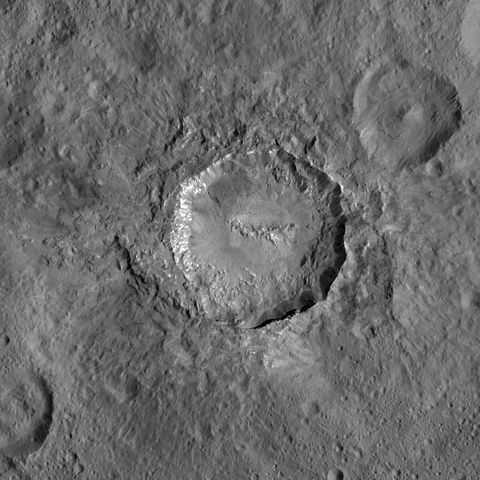 The announcement of its discovery motivated the observers all around the world to try to observe it and make photometric measurements. Here we discuss what these measurements tell us on the rotation and the shape. But before that, let me tell you something on the rotation. Tumbling rotation: the object rotates around its 3 axes, and basically this is a mess. 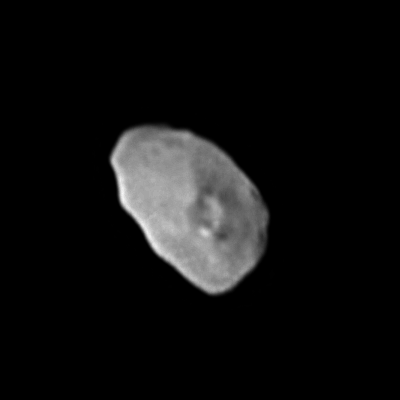 We could be in a situation of dynamical chaos, like for the moon of Saturn Hyperion. 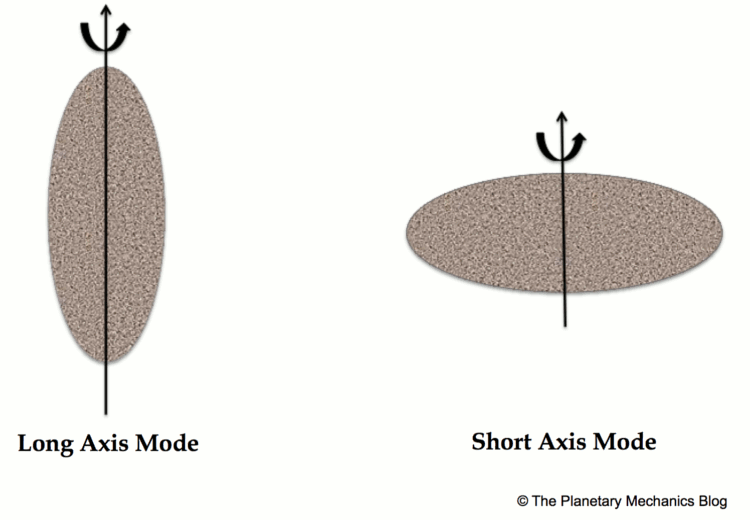 Short-axis mode (SAM): the rotation is strongly dominated by a motion around the shortest axis. This is the case for many bodies in the Solar System, like the planets, our Moon… This does not mean that the rotation is strictly around one axis, but we will see that a little later. Long-axis mode (LAM): the rotation is strongly dominated by a motion around the longest axis. The LAM and SAM modes. These last two modes can actually cohabit with tumbling, i.e. a tumbling rotation may favor rotation around one axis. If the rotation were strictly around one axis, then the body would look like a top. But this rotation axis may move with respect to the figure axis. This motion is named precession-nutation. The precession is the averaged path of the figure axis around the angular momentum, while the nutation contains the oscillations around it. Now, imagine that you look at an object, which has such a rotation. How can you estimate it? There are ways. Actually the brightness of a body not only depends on the distance from it, or on the insolation angle, but also on the surface facing you. This means that from the brightness, you can deduce something on the rotation state of the object. In particular, this surface brightness depends on its location with respect to the principal axis. If the object has the shape of a cigar, the reflected light from the long axis and from the short one will be different, and the lightcurve will present periodic variations. And the period of these variations is the rotation period. Easy, isn’t it? Actually, not that easy. First, you assume that the surface has a constant albedo, i.e. that the ratio between the incident and the reflected lights is constant. But you do not know that. In particular, an icy surface has a higher albedo than a carbonaceous one. Another difficulty: a tumbling object, or even one with a precessional component in its rotation, will present a combination of different frequencies. Of course, this complicates the analysis. Once the observations are obtained as raw data, they must be treated to correct from atmospheric and instrumental problems. And then it is not done yet, since the authors need an absolute luminosity of ‘Oumuamua, i.e. as if its distance to the observer were constant. The motion of ‘Oumuamua actually induced a trend in its distance to the Earth, and a trend in its luminosity, which the authors fitted before subtracting it the measured lightflux. Once this is done, the authors get a lightcurve, which is constant on average, but presents variations around its mean value. Unfortunately, the required treatment induced an uncertainty in the measurements, which the authors had to consider. But fortunately, these practical difficulties are well-known, and algorithms exist to extract information from such data. Basically, you need to extract periods from the variations of the lightflux. For that, we dispose of the classical tool of Fourier Transforms, which in principle requires equally spaced data. But the recorded data are not equally spaced, and remember that you must consider the uncertainties as well. Specific algorithms exist for such a purpose. The authors used CLEAN and ANOVA, to double-check their results. These algorithms allow in particular to remove the aliasing effect, i.e. a wrong measurement of a period, because of an appropriate spacing of the data. And now, the results! Long-Axis Mode: In that case, the possible rotation periods are 6.58, 13.15 and 54.48 hours, the latter being the most probable one. Short-Axis Mode: Here, ‘Oumuamua would be rotating with respect to the short-axis, but also with oscillations around the long axis of periods 13.15 or 54.48 hours. In both axis, the long axis would also precess around the angular momentum in 8.67 &pm; 0.34 hours. Moreover, the authors found constraints on its shape. Previous studies already told us that ‘Oumuamua is highly elongated, this study confirms this fact, and tells us that ‘Oumuamua could be somewhere between the cigar and the pancake. But once more, this result could be weakened by variations of the surface albedo of ‘Oumuamua. The study is here, and the authors made it freely accessible on arXiv, thanks to them for sharing! and the one of Jacqueline V. Keane. Hi there! A team from the University of Hong Kong has recently explored a scenario of formation of the small satellites of Pluto. You know, there are 4 small bodies, named Styx, Nix, Kerberos, and Hydra, which orbit around the binary Trans-Neptunian Object Pluto-Charon. At this time, we don’t know yet how they were formed, and how they ended up at their present locations, despite the data that the spacecraft New Horizons sent us recently. The study I present you today, On the early in situ formation of Pluto’s small satellites, by Jason Man Yin Woo and Man Hoi Lee, simulates the early evolution of the Pluto-Charon system. It has recently been published in The Astronomical Journal. The American Clyde W. Tombaugh discovered Pluto in 1930. He examined photographic plates taken at Lowell Observatory at Flagstaff, Arizona, USA, and detected a moving object, which thus could not be a star. The International Astronomical Union considered Pluto to be the ninth planet of the Solar System, until 2006. At that time, numerous discoveries of distant objects motivated the creation of the class of dwarf planets, Pluto being one of the largest of them. The other American astronomer James W. Christy discovered a companion to Pluto, Charon, in June 1978. Still at Flagstaff. The existence of far objects in our Solar System motivated the launch of the space missions New Horizons in 2006. 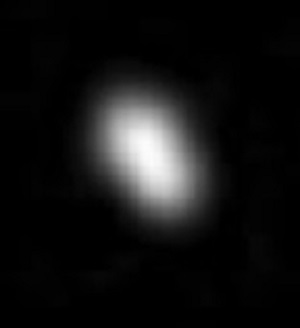 New Horizons made a close approach of the system of Pluto in July 2015, and is currently en route to the Trans-Neptunian Object 2014MU69. The closest approach is scheduled for January, 1st 2019. In parallel to the preparation of New Horizons, the scientific team performed observations of Pluto-Charon with the famous Hubble Space Telescope. And they discovered 4 small satellites: Nix, Hydra, Styx and Kerberos. You can find some of their characteristics below, which are due to New Horizons. Pluto and Charon are two large objects, with respect to the other satellites. So, Pluto-Charon should be seen as a binary TNO, and the other four objects are satellites of the binary. Pluto and Charon are in a state of double synchronous spin-orbite resonance: their rotation rate is the same, and is the same that their mutual orbital motion. If you are on the surface of Pluto, facing a friend of yours on the surface of Charon, you will always face her. This is probably the most stable dynamical equilibrium, reached after dissipation of energy over the ages. And the four small satellites orbit outside the mutual orbits of Pluto and Charon. 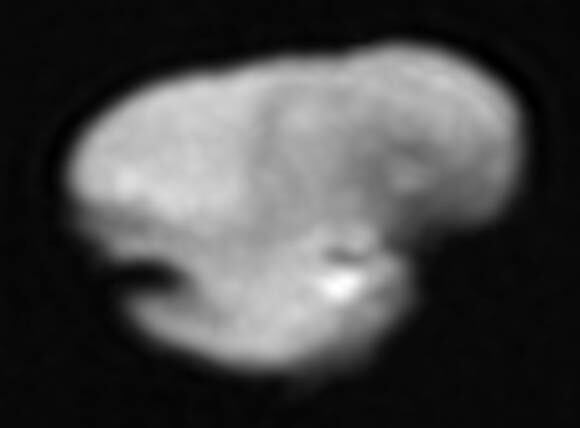 the orbital period of Hydra is close to six times the one of Charon. Close to, but not exactly. This suggests the influence of mean-motion resonances of their orbital motion, i.e. the closest distance between Charon and Styx will happen every 3 orbits of Charon at the same place, so you can have a cumulative effect on the orbit. And the same thing would happen for the other objects. But this is actually not that clear whether that cumulative effect would be significant or not, and if yes, how it would affect the orbits. Previous studies suggest that it translates into a tiny zone of stability for Kerberos, provided that Nix and Hydra are not too massive. Anyway, the authors wondered why these four satellites are currently at their present location. They addressed this question in testing the following scenario: Charon initially impacted Pluto, and the debris resulting from the impact created the four small satellites. To test this scenario, they ran long-term numerical simulations of small, test particles, perturbed by Pluto and Charon. Pluto and Charon were not in the current state, but in a presumed early one, before the establishment of the two synchronous rotations, and with and without a significant initial eccentricity for Charon. The authors simulated the orbital evolution, the system evolving over the action of gravitational mutual interactions, and tides. The tides are basically the dissipation of energy in a planetary body, due to the difference of force exerted at different points of the body. This results in stress, and is modeled as a tidal bulge, which points to the direction of the perturber. The dissipation of energy is due to the small angular shift between the orientation of the bulge and the direction of the perturber. 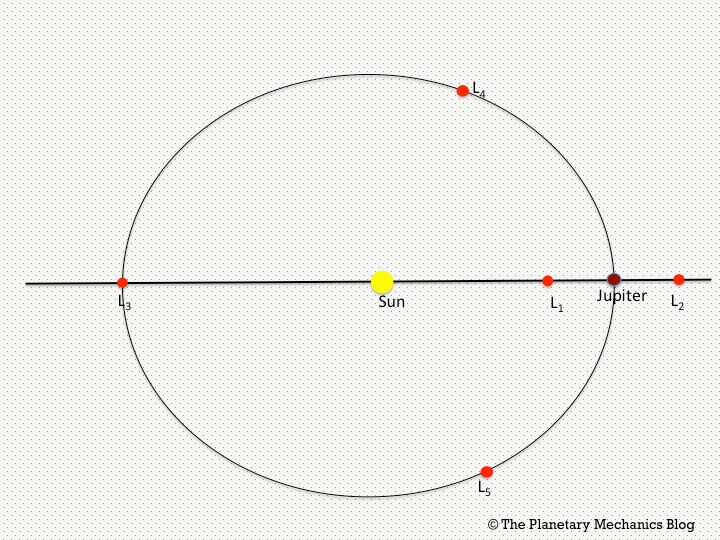 The equilibrium configuration of Pluto-Charon, i.e. the two synchronous rotations, suggest that the binary is tidally evolved. A constant angular shift between the tidal bulge and the direction of the perturber. The tidal models actually depend on the properties of the material, and the frequency of the excitation. In such a case, the frequency of the excitation depends on the two rotation rates of Pluto and Charon, and on their orbital motions. The properties of the material, in particular the rigidity and the viscosity, are ruled by the temperatures of the objects, which are not necessarily constant in space and in time, since tidal stress tend to heat the object. Here the authors did not consider a time variation of the tidal parameters. Other models, which are probably more physically realistic but more complex, exist in the literature. Let me cite the Maxwell model, which assumes two regimes for the response of the planetary body: elastic for slow excitations, i.e. not dissipative, and dissipative for fast excitations. The limit between fast and slow is indicated by the Maxwell time, which depends on the viscosity and the rigidity of the object. Anyway, the authors ran different numerical simulations, with the two tidal models (constant angular shift and constant time delay), with different numbers and different initial eccentricities for Charon. And in all of these simulations, they monitored the fate of independent test particles orbiting in the area. The authors seem disappointed by their results. Actually, some of the particles are affected by mean-motion resonances, some other are ejected, but the simulations show that particles may end up at the current locations of Styx, Nix, Kerberos, and Hydra. However, their current locations, i.e. close to mean-motion resonances, do not appear to be preferred places for formation. This means that we still do not know why the satellites are where they currently are, and not somewhere else. 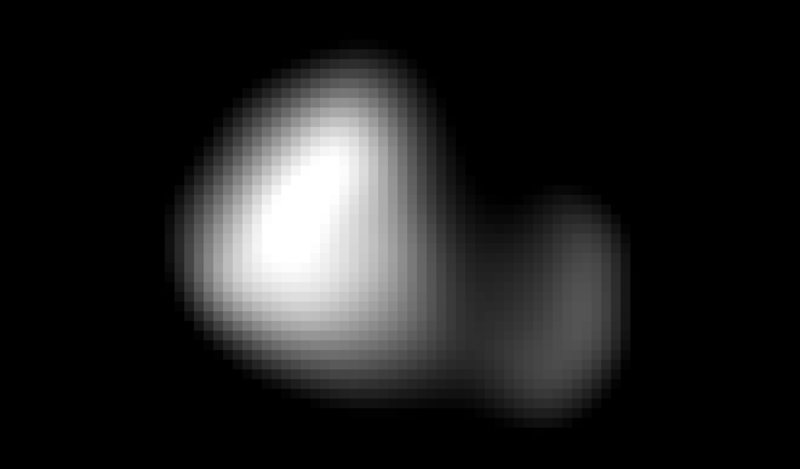 The next target of New Horizons is 2014MU69, which we will be the first object explored by a spacecraft, which had been launched before the object was known to us. We should expect many data. and the homepage of Man Hoi Lee.